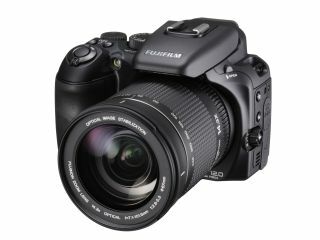 Hot on the heels of its W1 3D announcement, Fujifilm has also launched four new digital compacts along with a superzoom bridge camera. Kicking things off are two new entry-level point-and-shoots – the 12MP J30 and the 10MP A170. They are joined by the ergonomically styled Z35 and the F70EXR which employs Fujifilm's acclaimed EXR sensor technology. The S200EXR, meanwhile, is a new 14.3x superzoom that also uses the EXR sensor alongside a host of advanced operating and creative modes. Fujifilm's EXR sensors are an interesting development in that they are designed to perform in the same way as the human eye. That is to say they are programmed to automatically switch between one of three modes: High Resolution, Wide Dynamic Range and High Sensitivity/Low Noise depending on the subject and available lighting conditions. The development of the EXR sensor marks a shift away from the traditional 'more megapixel is better' approach, whereby manufacturers have rushed to cram as many pixels onto sensors as possible in the hope of enticing buyers with ever higher megapixel counts. The problem with this approach, of course, is that reducing the size of individual photo diodes in order to cram as many as possible onto the relatively small size of a compact CCD type sensor usually results in significant problems with low-light noise. Consumers are beginning to wise up to the fact that there's little point in owning a 15MP compact if all your low-light shots are full of noise, so the development of more intelligent sensors such as Fujifilm's award-winning EXR has to be a good thing that other manufacturers will surely follow. Prices have yet to be confirmed by Fujifilm, but all models are expected to reach the shelves by August with the exception of the Z35 which will arrive a month later in September.